Shotgun Wedding! Clients with Great Sense of Humor! 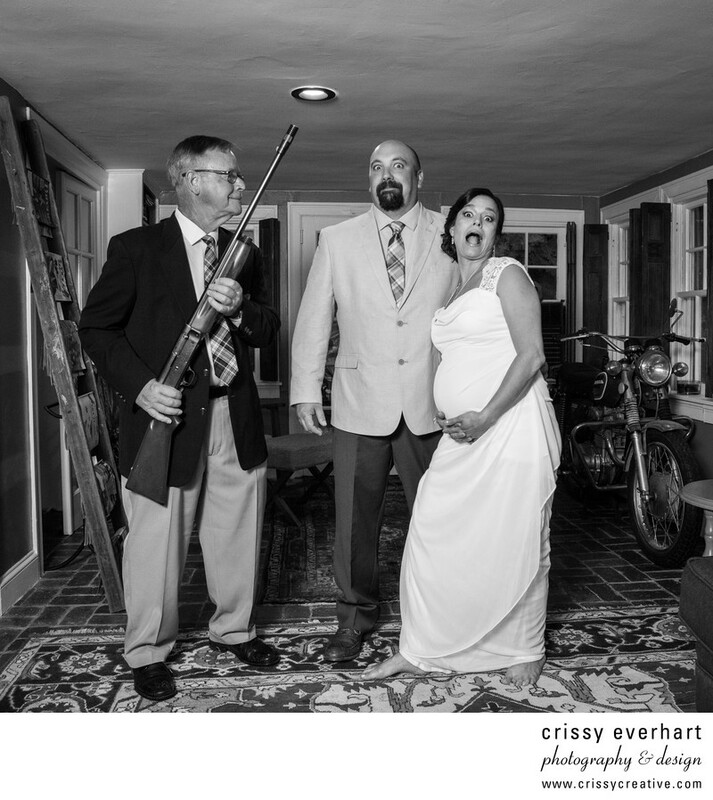 This bride asked to do a photo with her father holding a shotgun to joke about the fact she is a pregnant bride. I love my clients' sense of humor and was happy to oblige! The groom's father's Harley is in the background and this is taken on the front porch of their home in Phoenixville, PA.